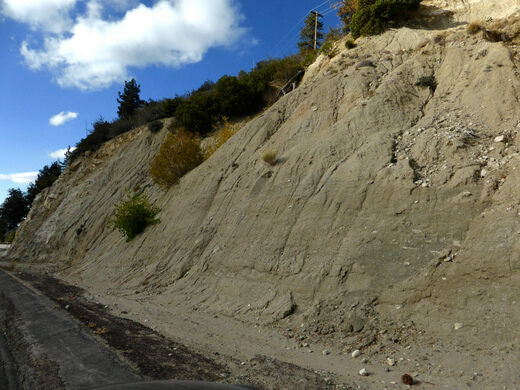 Discover the signs of Southern California's most threatening earthquake fault, hidden in plain view. 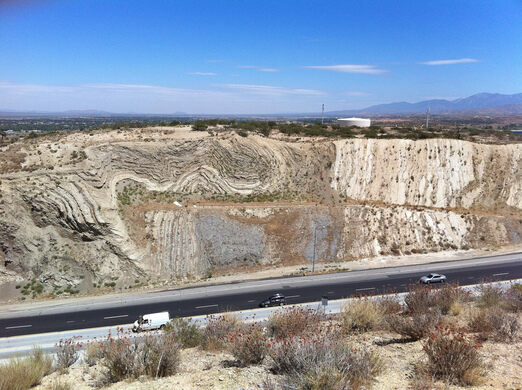 Join Field Agent Robert Hemedes and USGS research geophysicist Morgan Page on a rocky road trip across Southern California in search of the seismic hazards of the LA Basin and Mojave Desert that are shaping our earth and wrenching our neighborhoods apart—moving them in two opposing directions. 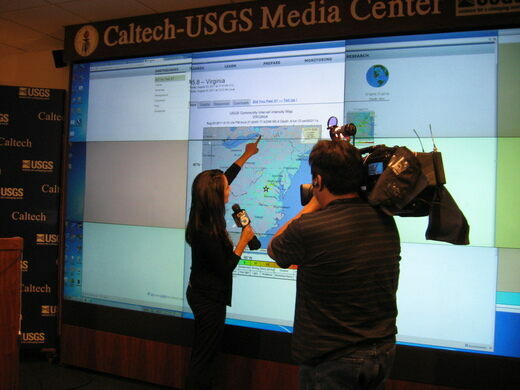 We'll start and end our journey at the Caltech Seismological Laboratory, a focal point for earthquake information in Southern California, including a repository of antique seismometers and a media center from which scientists alert and inform the public about seismic activity. There, we'll be joined by Stan Schwarz, the system administrator for USGS's earthquake detection system who built and currently runs its Earthquake Notification System. 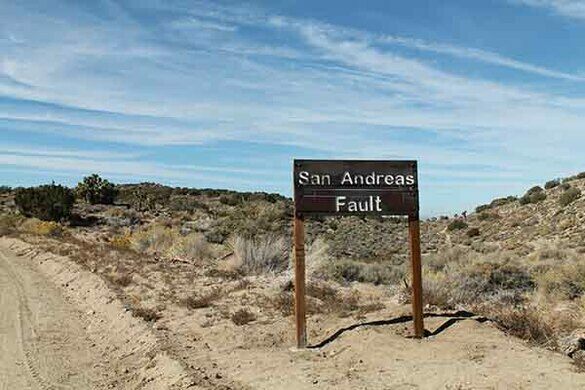 On our bus adventure, we'll view the actual San Andreas Fault line from a vista point in the Antelope Valley and a spot where the freeway crosses the fault. 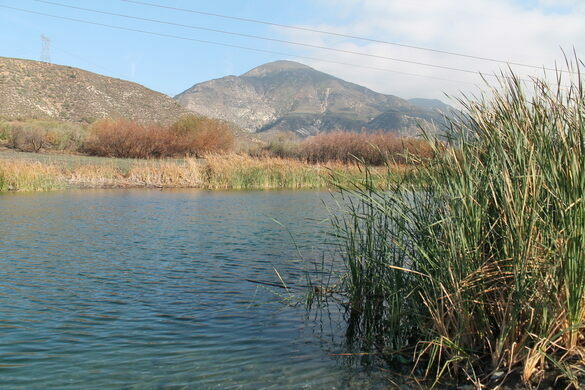 With an earthquake expert and accomplished researcher as our guide, we'll seek out visible evidence of fault movements, which have created, among other geological phenomena, Lost Lake—an unexpected body of water in the middle of the desert formed in a sunken patch of land between two fault strands. No streams feed it or drain it. The water just comes up out of the fault. Elsewhere, a landscaping feature that looks like a grassy knoll is actually a surface rupture from the 1971 San Fernando earthquake—in a McDonald's parking lot in the Valley. We will be traveling together on a chartered bus. No carpooling or caravanning allowed because of unpaved roads and other hazards. This is an all-day event, and there are no late arrivals or early departures. 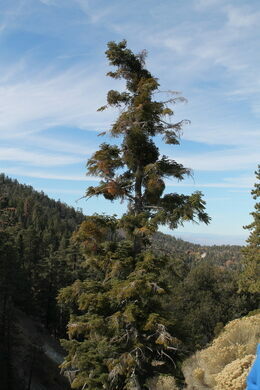 This excursion involves some moderate walking on unpaved pathways to reach some of the sites. This is not wheelchair-friendly, so if you have mobility issues or any other accessibility concerns, please let us know before purchasing your ticket. Although we will spend the majority of our time inside an air-conditioned bus, we will make several stops to explore outside in the sun. Please wear sun protection (sunscreen, hat, sunglasses) and bring plenty of water. We will stop for a brief no-host lunch stop. Brown bagging your own lunch is strongly recommended, but please no eating on the bus. Some of our sites may be out of cell phone range, so please plan accordingly. This event is weather dependent. If we are expecting significant rain on this date, we will cancel the event via email in advance. Tickets will be refunded or transferred to a rescheduled date, depending on your availability. Parking: The best place to park is in the structure at the northwest corner of Wilson and San Pasqual (free on weekends!). Our return time is estimated and subject to change based on traffic, weather, and other variables.